Dad had been gone almost a year when I got the phone call. My friend and colleague, Jack, had found a cottage for sale just outside Gort, Ireland. Would I be interested? Absolutely. Dad would have been delighted. Actually, I believe he was and is delighted. While Ireland always held a special place in his heart, Gort was especially important to him. Apparently its where our family came from. There are loads of us in the graveyards there. 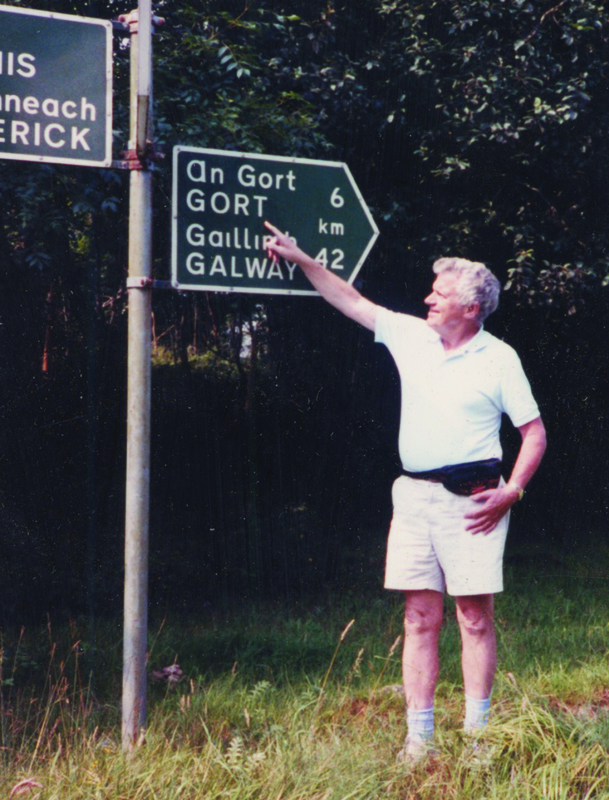 Dad’s love for Gort came home to me again when I recently found this photo taken years before he and I travelled to Ireland together. Yes, Dad. This is the place. My friend, what a lovely tribute to your full-hearted da and your Irish home. Love and admiration. Oh how happy my heart is when I think of you and you Irish cottage. Thank you for making me smile today. “Darkness cannot drive out darkness; only light can do that. Hate cannot drive out hate; only love can do that.” -Dr. Martin Luther King, Jr.
Love the idea of your dad’s photo – he can continue to smile down on you and all who visit. Travel safe my friend. Sure and begorrah, it’s grrrrate!! Wow, I love it. Can’t wait to see it.